Zack Kouns describes his music as Modern Liturgical, and Apocalyptic/Hermetic in its aesthetic. Recent work, including his Concealed History of Coming Races takes on a form of dark Appalachian bluegrass. Content to blur the lines between conventional genres, especially through the use of saxophone, harmonium, electronics, violin, vocals and many other tools, the unifying principle of Kouns’ work is undoubtedly found in the soulful and passionate delivery of the songs themselves. 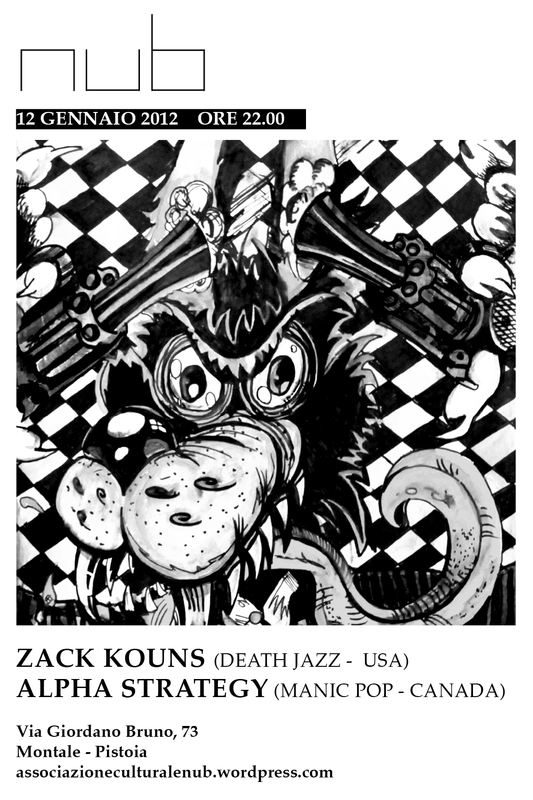 Undoubtedly one of the busiest and most insightful individuals in the realm of contemporary outsider art, Zack Kouns carries out activities as bandleader, performer, author, visual artist, researcher, prankster, and composer. Utilizing primitive oscillating circuits, vintage synthesizers, shouted vocals, and loops lifted from 1960s schlager, Alpha Strategy delivers music which is volatile and convulsive, yet meticulously arranged. Through the use of elements of pop structure, Alpha Strategy’s music tips a hat to the frantic energy of Patrick Miller’s Minimal Man, the unusual compositional directions found on the early singles of SPK, and the dark humor conveyed in the recordings of The Birthday Party. A musician, label operator, interviewer and deejay, Rory Hinchey of Alpha Strategy has been active in these and many other capacities for over a decade.